China, Vietnam, the Philippines, Taiwan, Malaysia and Brunei all have competing claims. China has backed its expansive claims with island-building and naval patrols. The US says it does not take sides in territorial disputes, but has sent military ships and planes near disputed islands, calling them “freedom of navigation” operations to ensure access to key shipping and air routes. Both sides have accused each other of “militarising” the South China Sea. 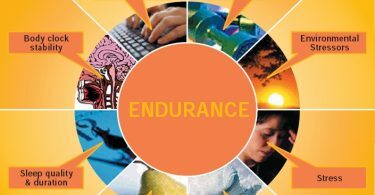 There are fears that the area is becoming a flashpoint, with potentially serious global consequences. 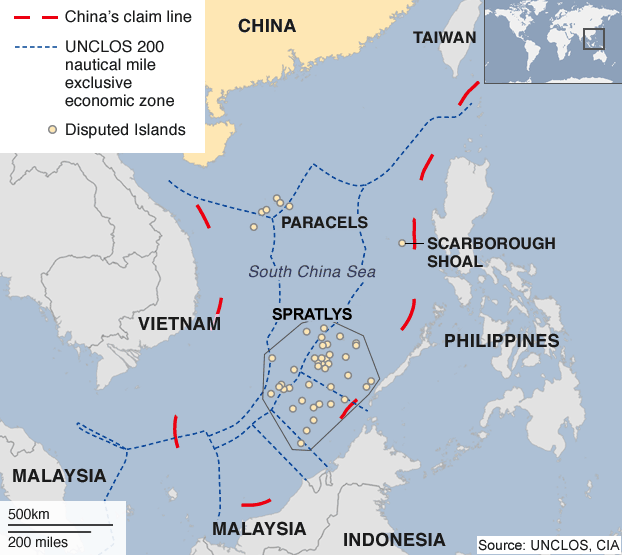 It is a dispute over territory and sovereignty over ocean areas, and the Paracels and the Spratlys – two island chains claimed in whole or in part by a number of countries. Why are they worth arguing over? Although largely uninhabited, the Paracels and the Spratlys may have reserves of natural resources around them. There has been little detailed exploration of the area, so estimates are largely extrapolated from the mineral wealth of neighbouring areas. China claims by far the largest portion of territory – an area defined by the “nine-dash line” which stretches hundreds of miles south and east from its most southerly province of Hainan. Beijing says its right to the area goes back centuries to when the Paracel and Spratly island chains were regarded as integral parts of the Chinese nation, and in 1947 it issued a map detailing its claims. It showed the two island groups falling entirely within its territory. Those claims are mirrored by Taiwan. 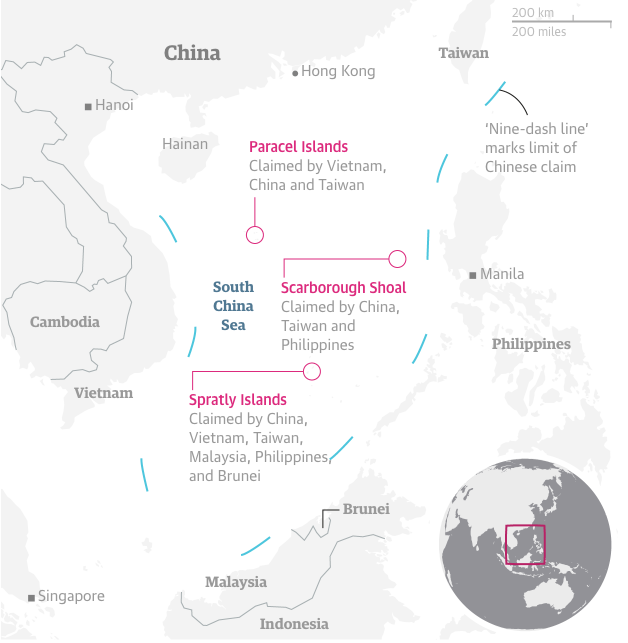 However, critics say China has not clarified its claims sufficiently – and that the nine-dash line that appears on Chinese maps encompassing almost the entirety of the South China Sea includes no coordinates. It is also not clear whether China claims only land territory within the nine-dash line, or all the territorial waters within the line as well. Vietnam hotly disputes China’s historical account, saying China had never claimed sovereignty over the islands before the 1940s. Vietnam says it has actively ruled over both the Paracels and the Spratlys since the 17th Century – and has the documents to prove it. The other major claimant in the area is the Philippines, which invokes its geographical proximity to the Spratly Islands as the main basis of its claim for part of the grouping. Both the Philippines and China lay claim to the Scarborough Shoal (known as Huangyan Island in China) – a little more than 100 miles (160km) from the Philippines and 500 miles from China. Malaysia and Brunei also lay claim to territory in the South China Sea that they say falls within their economic exclusion zones, as defined by UNCLOS – the United Nations Convention on the Law of the Sea. Brunei does not claim any of the disputed islands, but Malaysia claims a small number of islands in the Spratlys. In 1974 the Chinese seized the Paracels from Vietnam, killing more than 70 Vietnamese troops. In 1988 the two sides clashed in the Spratlys, with Vietnam again coming off worse, losing about 60 sailors. Unverified claims that the Chinese navy sabotaged two Vietnamese exploration operations in late 2012 led to large anti-China protests on Vietnam’s streets. In January 2013, Manila said it was taking China to a UN tribunal under the auspices of the UN Convention on the Laws of the Sea, to challenge its claims. In May 2014, the introduction by China of a drilling rig into waters near the Paracel Islands led to multiple collisions between Vietnamese and Chinese ships. Have they tried to reach a resolution? China prefers bilateral negotiations with the other parties. But many of its neighbours argue that China’s relative size and clout give it an unfair advantage. 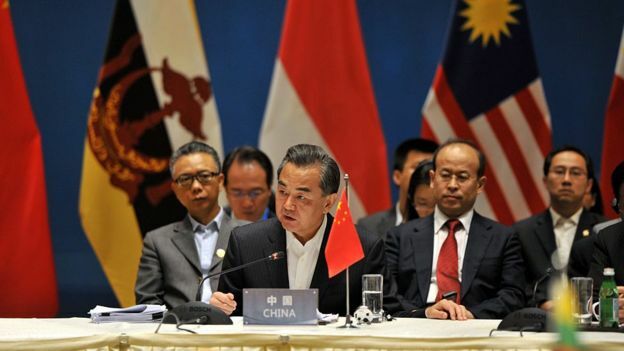 Some countries have argued that China should negotiate with Asean (the Association of South East Asian Nations), a 10-member regional grouping that consists of Thailand, Indonesia, Malaysia, the Philippines, Singapore, Brunei, Laos, Vietnam, Myanmar and Cambodia. However, China is opposed to this, while Asean is also divided over how to resolve the dispute. The Philippines has sought international arbitration instead. 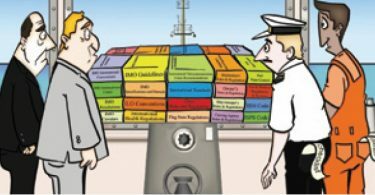 In 2013, it announced it would take China to an arbitration tribunal under the auspices of the UN Convention on the Laws of the Sea, to challenge its claims. In July 2016, the tribunal backed the Philippines’ case, saying China had violated the Philippines’ sovereign rights. China had boycotted the proceedings, and called the ruling “ill-founded”. It says it will not be bound by it. The Hague tribunal overwhelmingly backed the Philippines in a case on the disputed waters of the South China Sea, ruling that rocky outcrops claimed by China – some of which are exposed only at low tide – cannot be used as the basis of territorial claims. 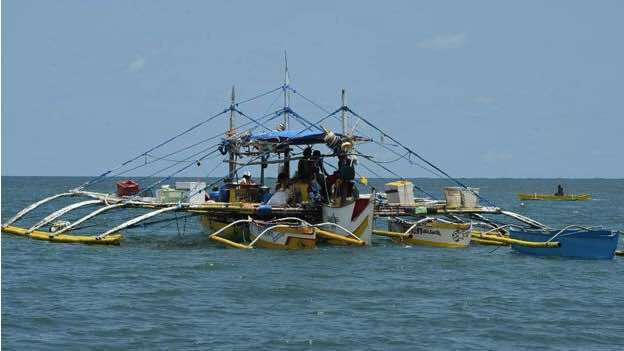 It said some of the waters were “within the exclusive economic zone of the Philippines, because those areas are not overlapped by any possible entitlement of China”. The tribunal furthermore found China had violated the Philippines’ sovereign rights in those waters by interfering with its fishing and petroleum exploration and by constructing artificial islands. Reaction of China after the Tribunal Verdict? The judgment by an international tribunal in The Hague came down overwhelmingly in favour of claims by the Philippines and is likely to increase global diplomatic pressure on Beijing to scale back military expansion in the area. By depriving certain outcrops of territorial-generating status, the ruling from the permanent court of arbitration effectively punches holes in China’s all-encompassing “nine-dash” line that stretches deep into the South China Sea.